Without any proof, CNN and much of the liberal media thinks that the entire world especially the Muslim world hates President Donald Trump, but one guest totally destroyed that hateful assumption last week. 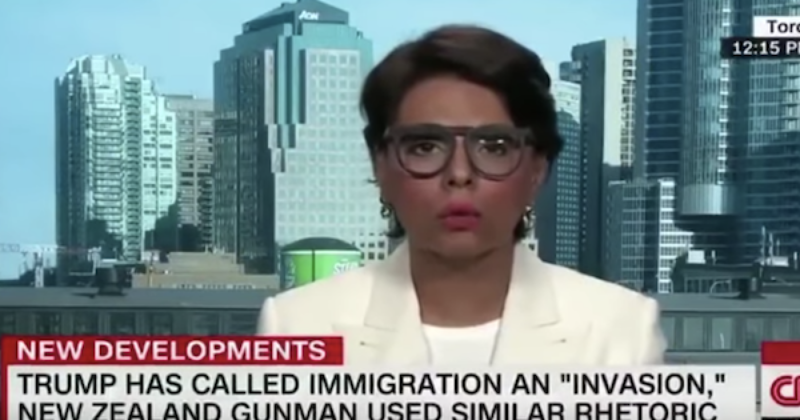 Doctor and journalist Qanta Ahmed were invited onto CNN to discuss foreign policy last Saturday, but instead of falling in line with CNN’s anti-Trump agenda, the doctor totally demolished CNN’s narrative. Notice how quickly the host shuts her down. Perhaps it was because they didn’t like the fact that she destroyed their lies. Dr. Amed then took to Twitter to continue her defense of President Trump. The liberal media claims that this president is somehow anti-Muslim is complete crap, just as Dr. Quanta Ahmed.